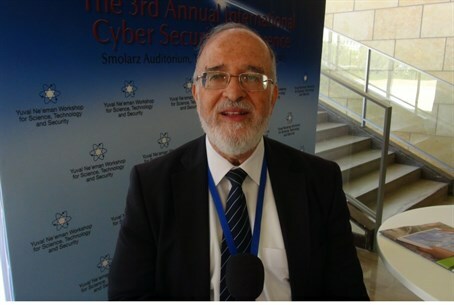 Experts from around the world meet in Israel to talk about cyber warfare. Israel faces 100,000 to one million attacks per day. Experts from around the world met in Tel Aviv last week for the third annual Cyber Security Conference. Among those present were foreign diplomats, senior executives from the cyber industry, start-up companies, leading academics, military attaches, and representatives of the IDF and foreign militaries. Professor Maj.-Gen. (ret.) Yitzchak Ben-Yisrael told Arutz Sheva that threats have become increasingly sophisticated as defenses have done the same. Israel faces roughly 100,000 cyber attacks per day, he revealed, and during wartime that number jumps to one million. Ben-Yisrael discussed Israel’s unique experience on the front lines of the cyber war, and the ways in which Israel can share with the world.